New Delhi, April 15: India's annual rate of inflation based on wholesale prices rose to 3.18 percent for the month of March. Wholesale Price Index (WPI) inflation stood at 2.93 in February. 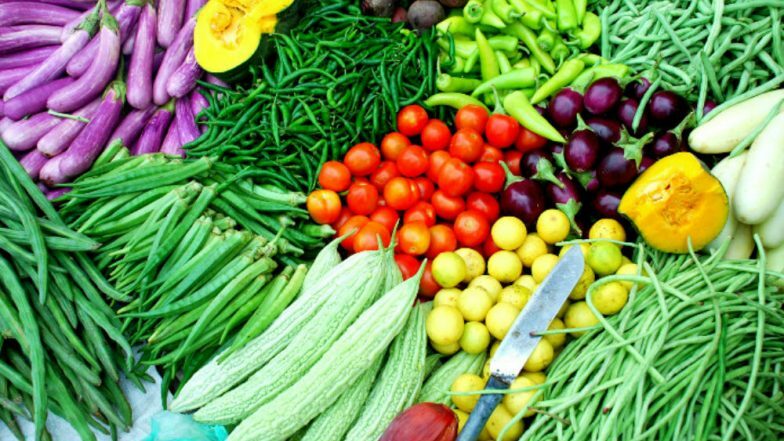 Inflation in food articles hardened with a steep rise in prices of vegetables during March 2019. India’s Wholesale Price Index for February Rises to 2.93 Per Cent. According to government data released on Monday, vegetable inflation was at 28.13 per cent in March which is 6.82 in February. However, inflation in potato cooled substantially to 1.30 per cent, from 23.40 per cent in the previous month. Inflation in food articles basket was 5.68 per cent during March. Meanwhile, Inflation in 'Fuel and power' category also increased to 5.41 per cent, from 2.23 per cent in February. The Reserve Bank of India (RBI) on April 4, cut repo rate by 25 bps to 6 percent from 6.25 percent. With this move, interest on loans has been reduced. RBI governor Shahsikanta Das, Pami Dua, Ravindra Dholakia and Michael Debabrata Patra had voted in favour of the decision to reduce the policy repo rate.